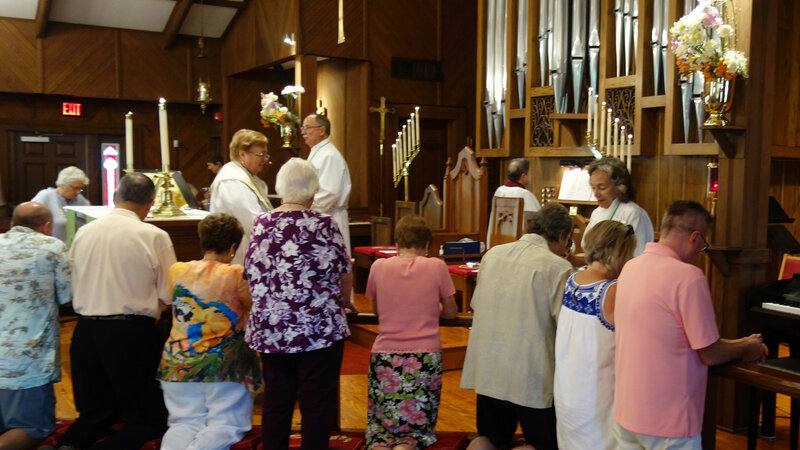 Youth from about eight years old through adults serve by carrying the cross and torches, ringing the Sanctus bells, and assisting the clergy in preparing the altar for the celebration of Holy Communion. Altar Guild members work behind the scenes preparing the church for worship, lovingly caring for the linens, tending to the wood, silver and brass items, and taking care of needs for holidays and special services. Serving on the altar, the ministry of this group is to assist the clergy in distributing the Lord’s Supper, as well as undertaking some duties shared by acolytes. The scriptures and liturgy are meant to be read aloud; when confident and articulate people take part in this ministry, the whole congregation benefits. This Team’s mission is to make regular visits to our homebound and hospitalized members. After special training and approval, members also bring Holy Communion to people in their homes. This Team assists the clergy to plan meaningful worship.